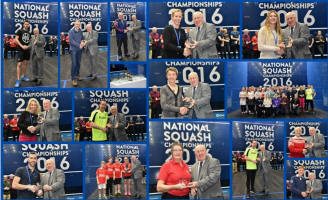 A host of new National Champions were crowned today - from the EDSA, the new U21 Champs, the Masters from O35 to O75 and of course the two main titles. 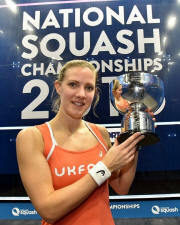 World #1 Laura Massaro justified her top seeded with a comprehensive straight-game win over Alison Waters in the women's final, the pair's fourth meeting at this stage. 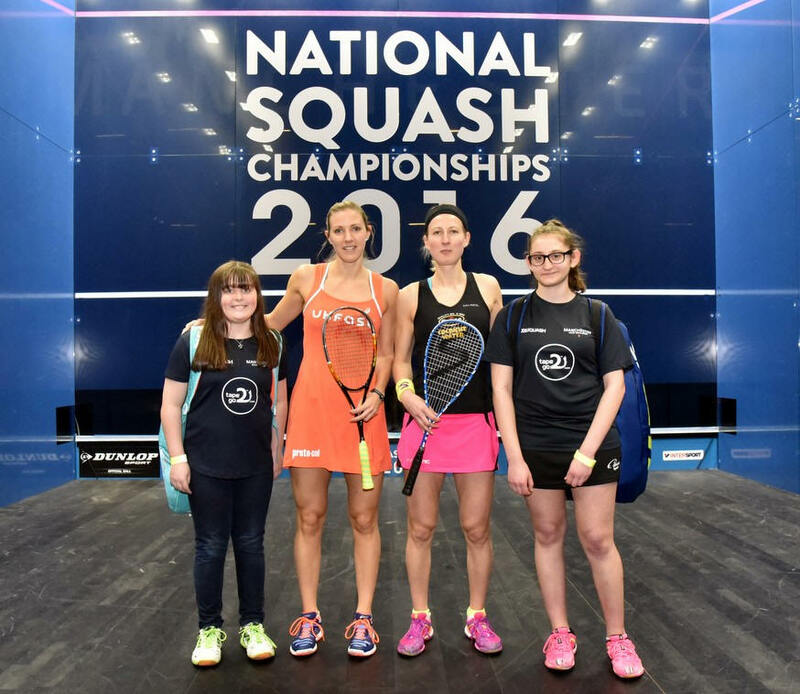 "Alison wasn't at her best today, but I thought I played well and I'm absolutely delighted to get my name back on the trophy," said Massaro. 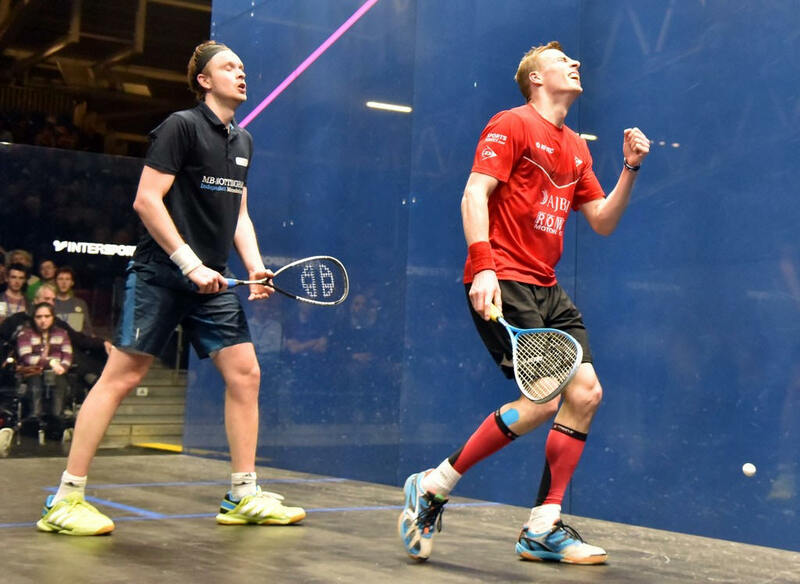 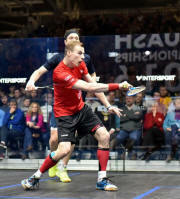 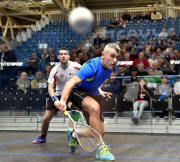 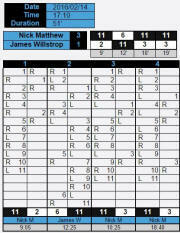 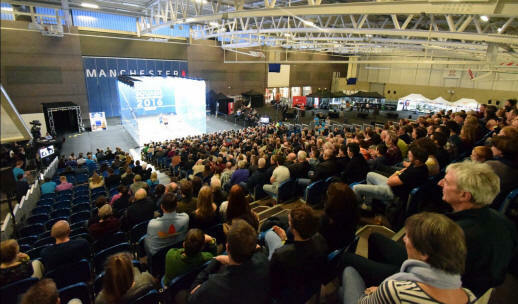 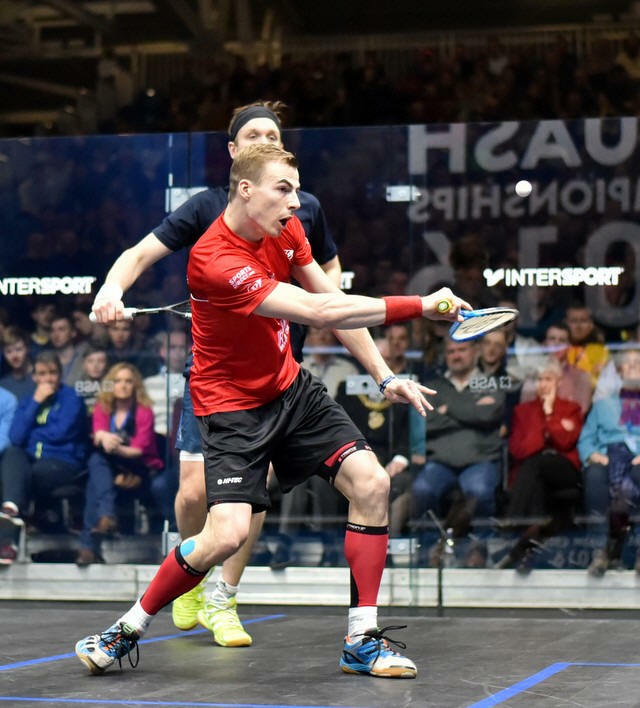 Nick Matthew already held the record of seven National titles and, appearing in a recond ninth final, he extended that to eight as he beat James Willstrop in their fifth final. 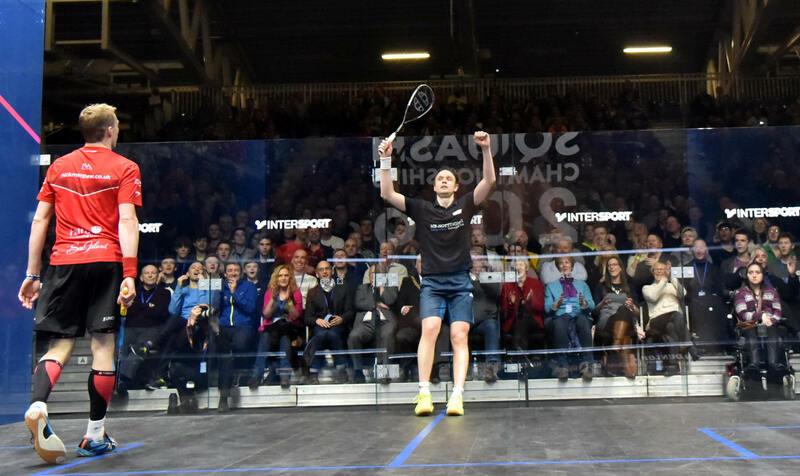 At 9-2 in the fourth there was a particularly brutal rally which Willstrop somehow managed to win, to his own and the crowd's delight, but it was only a short stay of execution. "It's always tough to break James down," said Matthew, "but the court was a bit deader than in previous days and he was maybe feeling yesterday's five-setter by the end. 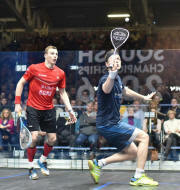 I 'went to Coventry' in the second but managed to get back on track. 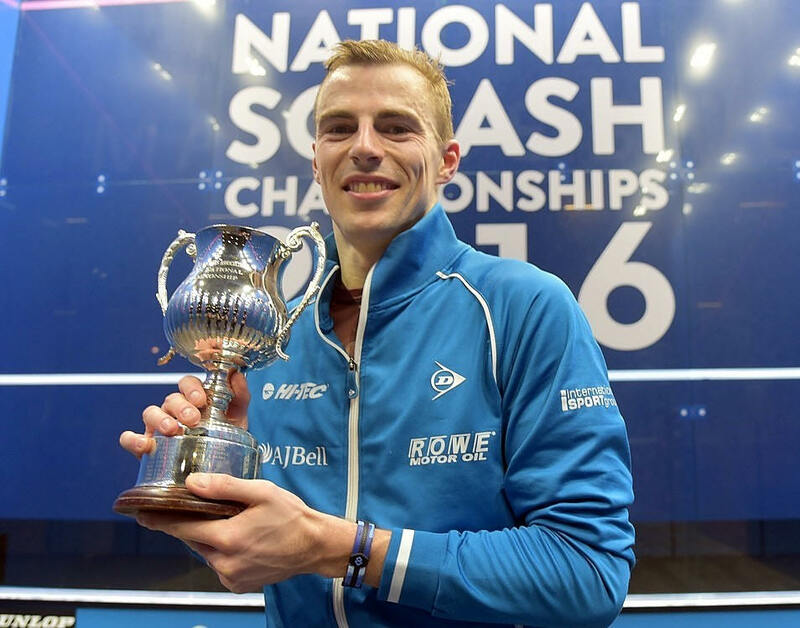 "The Nationals is a great event, always improving with new things coming along like the U21s and two glass courts, and it's unbelievable and an absolute honour to have won it eight times." 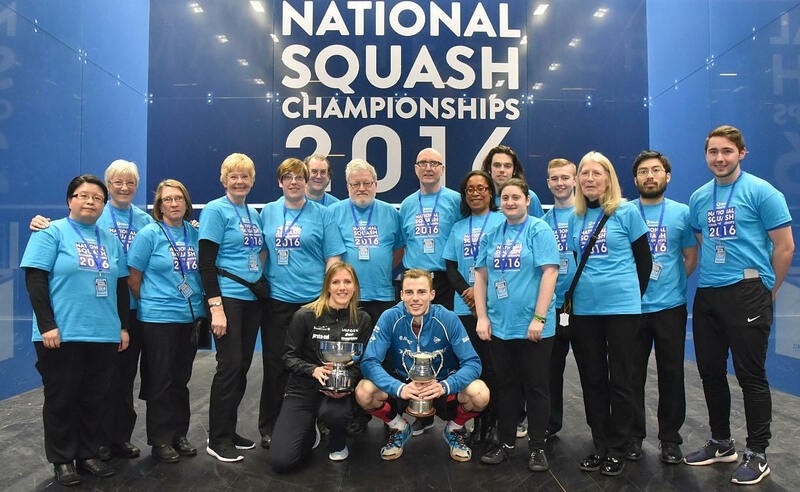 The inaugural U21 Championships concluded with victories for Georgina Kennedy and George Parker, while 18 Masters titles were decided. 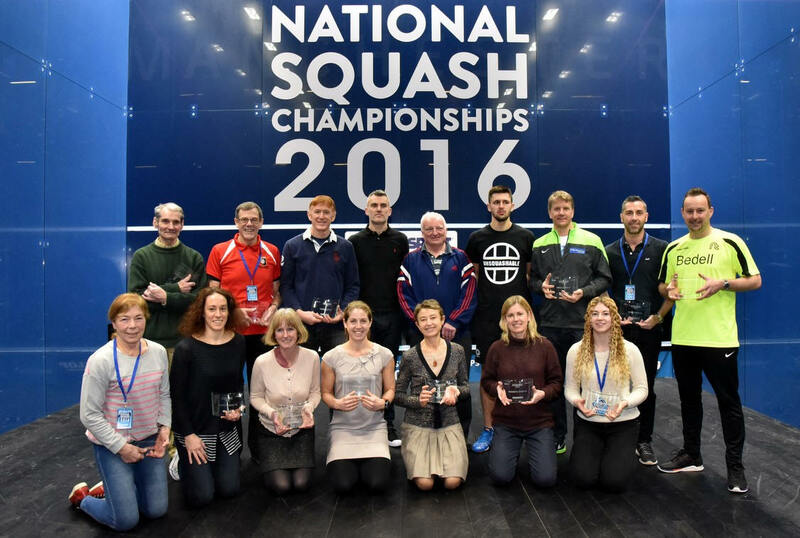 Today's men's and women's finalists have seen it all before , on this stage at least - between them they have already appeared in 28 finals ! 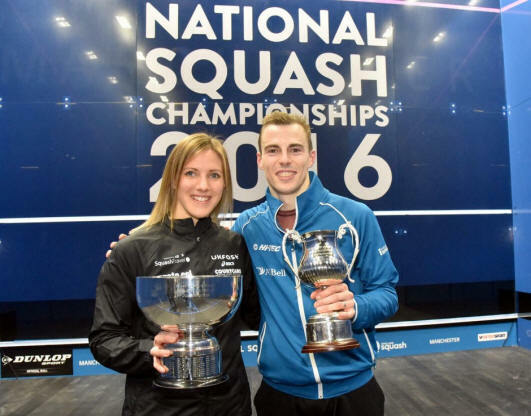 Nick Matthew and Alison Waters will both be making record-breaking 9th appearances while for James Willstrop today will be an 8th, for Laura Massaro a 6th. 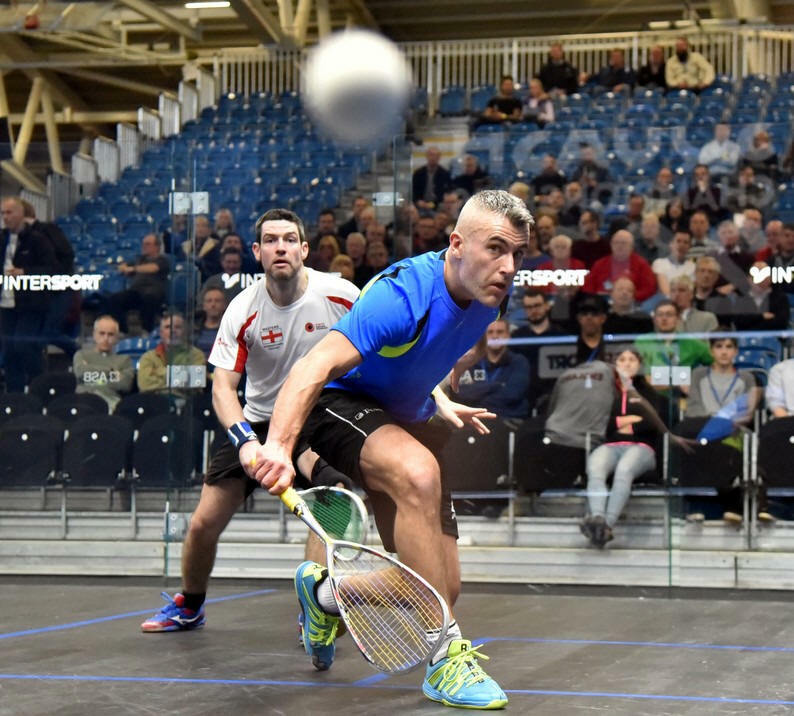 Between them they have 15 titles - Matthew 7, Waters 4, Massaro and Willstop 2 each. 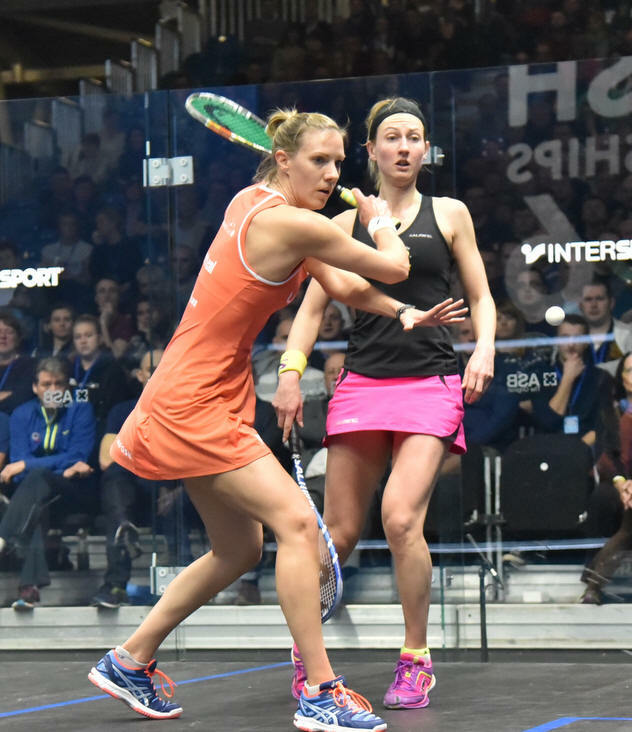 Massaro and Waters have met 7 times previously, starting with the qualifiers in 2002 up to the 2013 final. 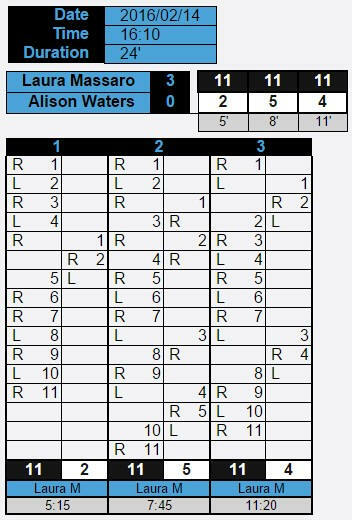 Waters leads 4-3 heading into their fourth meeting in the final. 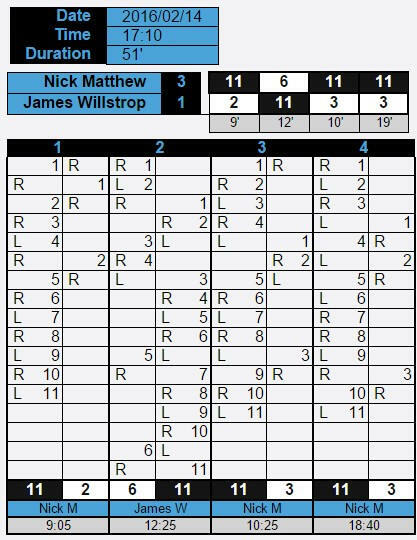 Matthew and Willstrop have played each other 6 times in the Nationals, also starting in 2002 with a round two match, and the last four times in the final, the last one in 2014.. Matthew has won them all.